If you frequent the OpenCRM blog, you will have seen a post from us recently discussing tips to succeed in B2B sales. It’s a tricky discipline and one which is undoubtedly harder than its B2C counterpart, but with the right tools is always possible! 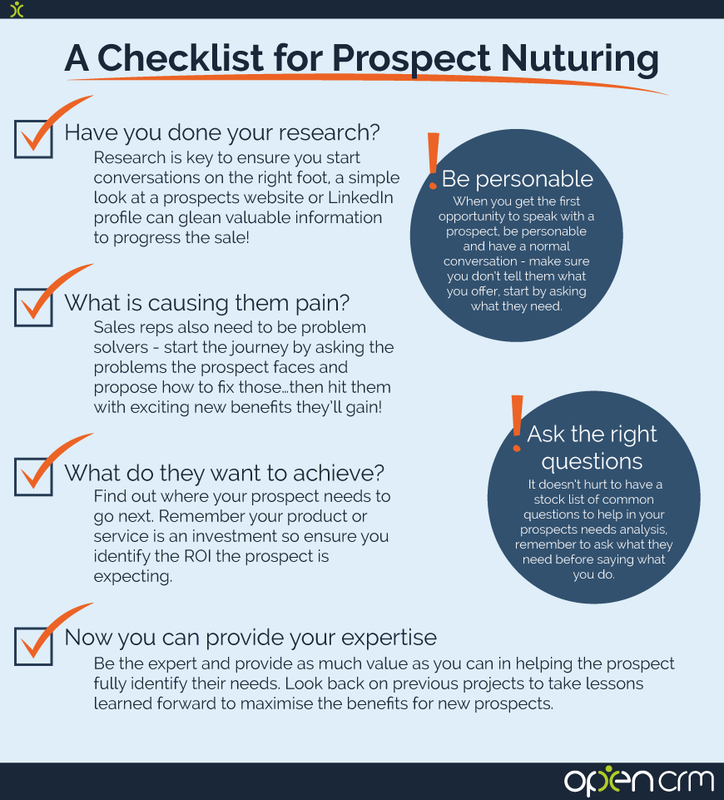 With one of the key components in B2B sales success being identifying and establishing your prospects needs, we wanted to take a deeper look into some great ways you can do this to maximise the relationship you have with your prospects. The needs of every customer who interacts with your business will be contextual. What I mean by this is, their needs will be a direct result of their environment, geographical location, business sector or organisational size. Get yourself ahead of the game, by diving into a little research about your customers and get to know their business world. This can be as simple as taking a look at their website, specifically their ‘About Us’ and ‘Blog/News’ sections to see what’s currently going on in their business. If you want to dive deeper still, why not try finding some industry news sites or accrediting bodies, again seeing the common trends, stories or changes in that market. If you’re in the UK, you could jump onto Companies House and take a look at the business history and identify the potential decision makers. Use the knowledge you gain to try and drive the conversation with the prospect, they’ll begin to feel as though you understand them and their business straight away before progressing to the other elements of needs analysis. Breakdown – Research is key to ensure you start conversations on the right foot, a simple look at a prospects website or LinkedIn profile can glean valuable information to progress the sale! 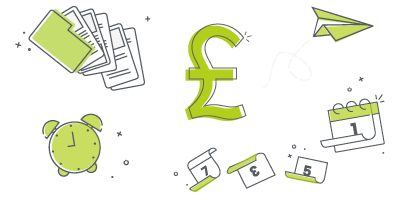 We’ve got a simple pricing structure: a per user monthly fee that gives you access to the whole of Open CRM. No restrictions and no hidden fees. See? We told you it was simple. There’s the age old saying that ‘people buy people’ and it’s a saying I’ve always fully believed in. Despite a range of handy selling tools in a salesman’s belt, often the ability to have an old fashion and engaged conversation is what will set you apart from the last person your prospect spoke to. Sometimes its because a prospect can talk to you rather than a call centre or having to use livechat and email that you will win the business. I recently wrote about this in a piece on LinkedIn, but it really is the ability to communicate on a human level that set’s apart the best from the rest. Building a professional relationship first requires empathy; the ability to listen to a prospect’s requirements, appreciate the pain they are suffering and start the journey towards a solution. Too many people make the mistake of telling and not asking – don’t tell someone what you offer before asking what they need. Breakdown – When you get the first opportunity to speak with a prospect, be personable and have a normal conversation – make sure you don’t tell them what you offer, start by asking what they need. Many people often assume that a prospect is in the market for a new product or service because they want to expand or extend how they currently operate. Whilst this is sometimes true, the vast majority of B2B customers are actually driven by something else – pain. – Following business growth, administrative functions are becoming hectic and visibility is lost. 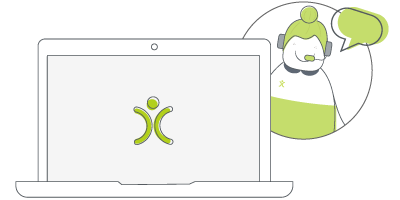 – Technology such as spreadsheets and email alone are causing issues with communication. – Data is not being controlled effectively, leading to a lack of information management. It’s easy to begin your conversations by focusing on the new and exciting opportunities your product may present to the prospect, but you have to start by fixing the current problems first. It’s like handing someone a shiny new pair of running trainers when they have a broken leg! 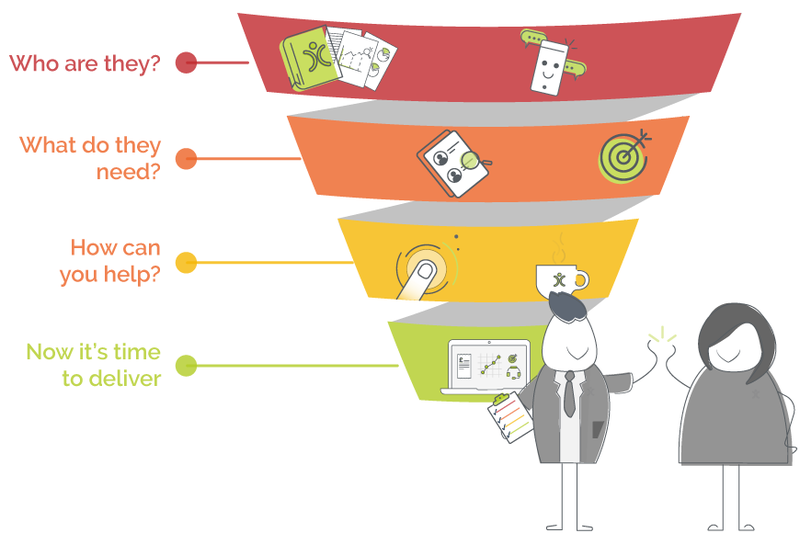 Breakdown – Sales reps also need to be problem solvers – start the journey by asking the problems the prospect faces and propose how to fix those…then hit them with exciting new benefits they’ll gain! B2B sales are often made with a business goal in mind. After all, a decision to buy your product or service in an investment and the business will expect to receive a certain return. You need to identify the types of return the prospect is looking for and ensure you can help deliver those. Often this can be a tricky task, some goals are really easy to measure such as ‘we hope the CRM will boost our overall new business by 25%’ whilst others are a little more intangible ‘we’d like to become more organised.’ Either way, work to identify those goals so that you can reflect back to the customer and reinforce the value you can bring. Again, this is all about building your relationship with the customer and ensuring you have fully understood their needs. By investing in their goals and taking a degree of ownership, you start to feel a part of their journey and ultimately, will be best placed to offer the right solution. Breakdown – Find out where your prospect needs to go next. Remember your product or service is an investment so ensure you identify the ROI the prospect is expecting. This point really underpins everything we have covered so far – asking the right questions is the enabler to build a relationship, uncover pain points and map out the targets and key metrics your product or service can help achieve. – Tell me a little about what you and your business do? – Do you currently use any [insert your product/service providers]? – What are your objectives from adopting a new [insert your product/service]? If you’re struggling with finding the right questions, put yourself in the shoes of your prospect and ask why they may be in thier current situation. Those reasons are why they are getting in touch, so target your questions around that. Breakdown – It doesn’t hurt to have a stock list of common questions to help in your prospects needs analysis, remember to ask what they need before saying what you do. All of the points above directly rely on the assumption that your client actually knows what they need. Whilst it might sound strange, this isn’t always the case and sometimes, they need an expert (hey, that’s you!) to help them understand exactly how to achieve their goals. Don’t be afraid to recommend alternative or adaptive solutions to either the problems or the goals your customer currently has. Naturally, you have to present this in the right way ensuring to not undermine the prospect or come across as rude. The best way is to present a use case or case study of a solution that has worked for an existing customer who experienced the same issues. Whilst the prospect knows their industry better than you, remember you are the expert in yours – don’t be afraid to use your expertise to ensure their needs are fully identified and ultimately, met. Breakdown – Be the expert and provide as much value as you can in helping the prospect fully identify their needs. Look back on previous projects to take lessons learned forward to maximise the benefits for new prospects. Before I got my start in the tech industry as part of Apple's UK Mac launch team, I was a professional drummer (notice I didn’t say musician). But once I got in, I was hooked and I’ve been involved in the tech industry, primarily software development, for over 20 years. I founded this company and I now have the enviable title of System Architect (as well as Managing Director) here at OpenCRM.